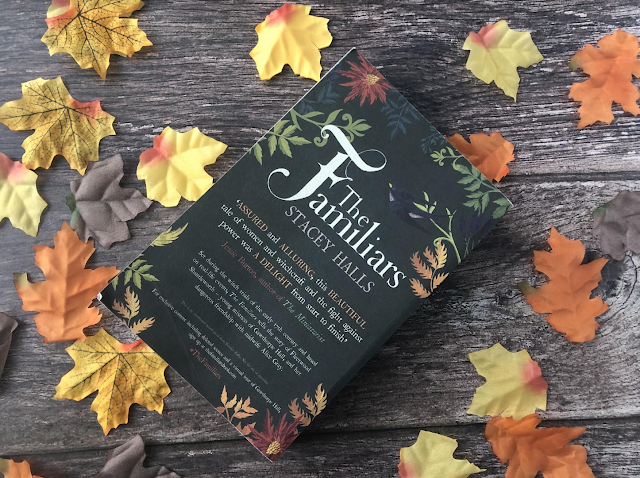 The Familiars is a historical fiction novel, which from the title is not what I was expecting. For those of you who are unaware of what a familiar is, to put it simply, it's a witches companion that takes the shape of an animal, like Salem in Sabrina the Teenage Witch. This made me think that The Familiars was going to be a lot more fantastical but what we get instead is a very true to the time story which is incredibly addicting to read. Fleetwood is a great character, she is considered strange by those around her as she is not your typical lady. She takes parts in hunts, rolls around on the floor with her dog and does not seem to be all that interested in being the lady of the manor, which she is... She is pretty well fleshed out with a good back story too and despite only being seventeen has already been through so much in her life. The other main player in this book is Alice, the lady Fleetwood takes on as a midwife. Alice is poor and has been accused of witchcraft. This is the part for me which shows just what a good historic fiction this is because at the time of the witch hunts it was mainly poor women that were targeted. We see how Fleetwood and Alice's friendship develops over time and follow their stories both past and present. Overall I really enjoyed this book and sped through it. I think the only thing I would've liked to have seen more of is familiars themselves, whilst they are a nice recurring theme in the book, considering the title of the book is The Familiars I would've thought they would be more prominent in the book and as I mentioned at the start I also thought this would have more of a fantastical magical element. Although The Familiars is very different to what I was expecting, I really enjoyed it and raced through it. For anyone who is a fan of witches and the time period I definitely recommend checking this out, or for anyone who appreciates a good story with a strong female main character definitely pick this up. This sounds like a really interesting read. I do like a historical book from time to time and I think I'm in line for reading one, perhaps I'll have to add this to my pile. This sounds like a fantastic read. I don't read historical fiction that often but this definitely seems like a book I'd be interested in. I love a good historical read, so I am adding this to my never ending list of books to read. Ah I've heard really great things about this book but I'd forgotten what it was called! I love all things witchy, I really need to read this! This sounds like a great read, just the kind of thing I would pick up myself. I'm always looking for new books to add to my kindle so will go download this one.